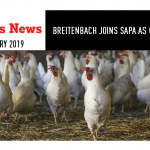 The South African Poultry Association (SAPA) has appointed businessperson Izaak Breintenbach GM of the association’s Broiler Organisation division. He succeeds Kevin Lovell who headed up the division for several years. Breintenbach has extensive experience in the agricultural sector, including SAPA where he has held prior positions. He was also senior MD at Afgri Food Services. 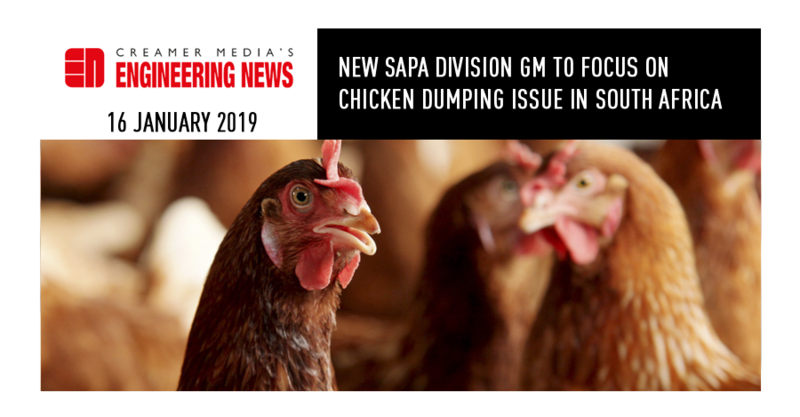 He said the biggest challenge facing the broiler industry at the end of 2018 was the impact that dumping had had and continued to have. For example, producers in Brazil have financial incentives to export and there is a great concern over the traceability of certain imports that are repackaged in South Africa, since some importers flout the legal requirements. 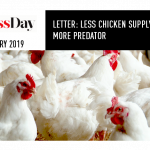 Having watched the local chicken industry from outside for the past four years, while working in other agricultural industries, including international poultry companies, Breintenbach noted that the negative perceptions of the South African broiler industry are incorrect. “This is an industry that is immensely competitive internationally in terms of those elements of the value chain that it can manage or influence directly. He added that chicken prices are established by the price of individual portions, but owing to phytosanitary restrictions preventing South African producers from exporting, they are unable to participate in the lucrative European Union (EU) and US market for white breast meat, which would, in turn, allow them to subsidise their own ‘brown’ meat, as happens in other countries. “It is incredibly difficult for countries with smaller chicken industries to compete with the big guns such as Brazil, the US, and the EU, who all protect their own with subsidies and incentives,” stressed Breitenbach. He is in favour of the proposed strategic and operational industry masterplan that will address transformation and place chicken on a growth trajectory, to benefit the economy through job creation and additional tax generation. Breitenbach pointed out that great strides have already been made by chicken companies in developing a successful model for the empowerment of black farmers. It is essential for both small and big farmers that the macroeconomic environment is managed successfully to grow the industry; and if that were to happen, the industry could expand by 30% and create 30 000 new jobs virtually immediately. This masterplan, which is to be drafted by an independent entity employed by the departments of Trade and Industry, Agriculture and Health, will incorporate inputs by all stakeholders. Breitenbach’s vision is to oversee its implementation during his tenure as a SAPA GM. “I look forward to helping to create a climate in which the industry can experience material growth.